Patricia Ross, Raphael Strumlauf and Kate DeNeveu each have at least one thing in common: They’re generally happy with their business insurance. 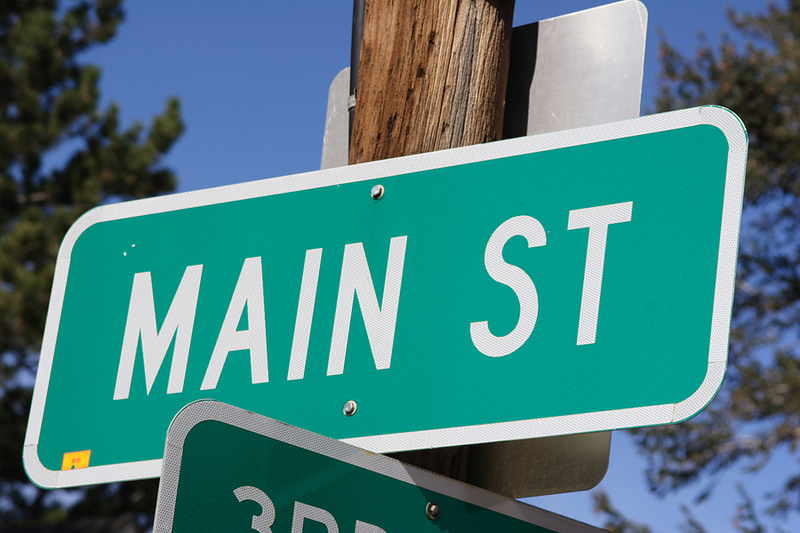 Each owns a business at the downtown pedestrian mall in Charlottesville, Va. They’re all in their early ’30s and theoretically fit the industry model of a younger customer that shouldn’t care for the old model of buying insurance through an agent or broker. But each person continues to rely on an agent or broker. 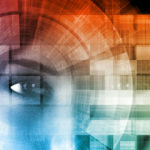 While some want more technology and the flexibility to use advances such as a customer portal, they say that the existing process generally works just fine. A recent study from Accenture concluded that millennials and Gen X small businessowners prefer digital purchases and self-service rather than using the telephone or talking to an agent/broker face to face. Ross, a gelato maker; Strumlauf, co-owner of a neighborhood grocer; and De Neveu, co-owner of a local comic book store, generally don’t fit that template — something that one insurance insider said is not surprising. Patricia Ross (most people call her P.K. ), is the 35-year-old owner of Splendora’s Gelato Cafe, located at a prominent spot midway through the red brick-paved pedestrian mall. Her store is painted in a yellow/mustard color that feels bright and sunny even on a dark, rainy day. “I feel like brokers make things easy for me in a way that online facilitation doesn’t necessarily offer,” says Patricia Ross, owner, Splendora’s Gelato Café. 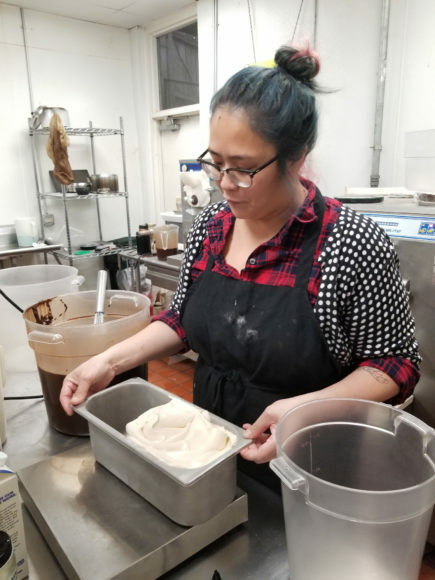 During a break in making a new batch of hazelnut sorbet, Ross explained she gets coverage through a broker that covers both product loss and workers’ comp for her business and 11 employees. She’s been with her broker for eight years and said she’s worked with two different individuals from the firm over that time, and she’s quite happy with the outcome. Ross said she doesn’t mind that the forms are sometimes complicated. As an artisanal gelato maker, she said she’s content using a traditional broker for her business needs. At the same time, she has one request if carriers/brokers are reading: Please make insurance language more accessible. “You just kind of glaze over in the middle of it when you’re trying to read the contract,” she observed. 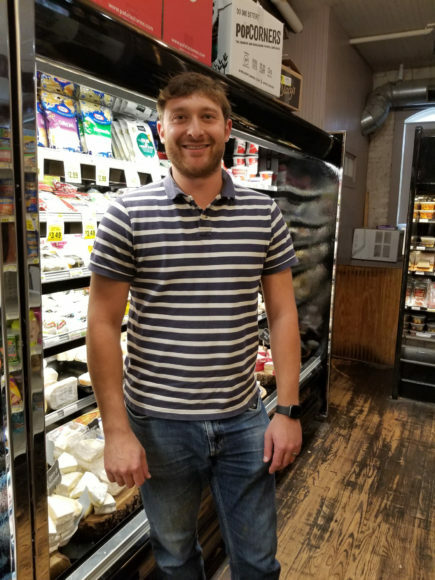 Raphael Strumlauf is co-owner with his father, Steve, of Market Street Market, a small, well-packed grocery store housed in a light blue, 19th-century building just around the corner from the Charlottesville pedestrian mall. About 18 full- and part-time employees work at the store, which carries grocery basics plus extras such as a wide wine selection along with locally made sausage and baked goods. Strumlauf, 31, speaking from a low-key office at the back of the store, said he found his current coverage about four years ago by getting a quote online. The service directed him to an agent about an hour away in Richmond, who later drove down and set him up with his current policy. Strumlauf needed new coverage after his previous carrier dropped the grocer following some major storms that knocked out power for three days, leading to a large claim. “Once a year I just have to update our sales information and employee information and stuff like that. Aside from that, it’s fairly simple,” says Raphael Strumlauf, co-Owner, Market Street Market. Strumlauf said the insurance buying process is “reasonably easy,” despite the insecurities about what happens if there’s ever need for a major claim. Strumlauf said he’s fine dealing with an agent but does like the ease that doing business online brings him, even if it is just through email. In dealing with agents, however, Strumlauf said he would also push to have an online portal as an option, so he could easily upload required documents. Kate DeNeveu, 34, is co-owner of Telegraph Art & Comics with her husband, David Murray. The store is on one end of the pedestrian mall, with a cinema complex, coffee shop, restaurant and bars among its immediate neighbors. 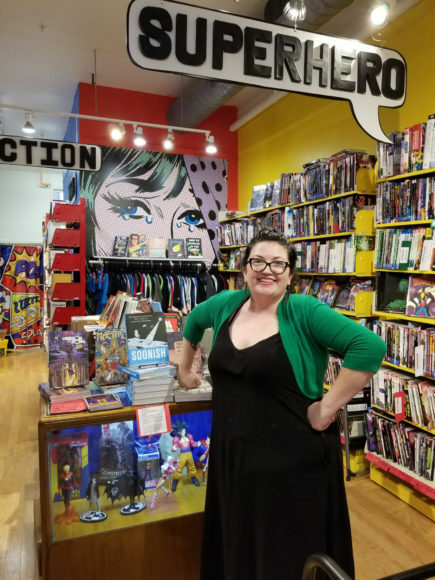 Inside, the store is multicolored, lined with new comics, graphic novels and custom cards, with posters, t-shirts and other art also for sale. DeNeveu, who is technically a millennial, said she prefers to work with an insurance agent. “It was really nice to be able to talk to [an agent] who can advise us on what we need and who we trusted. That was a major part of it for us,.” Kate DeNeveu, co-owner, Telegraph Art & Comics. The first agent she found for their business was within walking distance, and they obtained their business liability coverage and signed necessary documents via email and other programs. DeNeveu said the coverage is “adequately high tech” and works just fine. “We’re really happy with what it is,” she said. “It’s nice knowing that our inventory is protected and that our business is protected from lawsuit kind of stuff,” she said while sipping coffee at some outdoor seating near her store. DeNeveu added she is not interested in obtaining insurance coverage online. The added bonus: DeNeveu’s insurance agent helped her and her husband obtain homeowners coverage before they opened their store. “I’m quite happy with how everything was done and our current status, insurance-wise,” DeNeveu said. “I really hope we never have to use insurance, but we’re happy it’s there,” DeNeveau added. 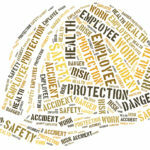 This article was originally published in Carrier Management magazine.